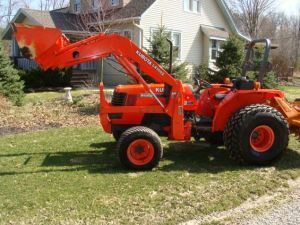 We offer the best selection of used landscaping equipment to a worldwide customer base. Call us today at 1-440-235-2157 with any questions you may have about our items and to learn more about shipping costs. You can also e-mail us at usedturfequipment@hotmail.com for more information about our inventory of leading products from leading brands. With such a large and varied collection of used landscaping equipment, we’re sure you’ll find the product or part you’re looking for at an affordable price. But we aren’t a company who only ship locally. Even though our office is in Ohio, we don’t limit ourselves to shipping within the United States. For international orders, we apply modest fees to cover shipping, but these ensure you’ll get your equipment in top condition. If you’re arranging for your own shipping, include loading charges of $600 per container. It is also required for you to include all documentation and courier charges, packing declaration, and proof of insurance. Used Turf Equipment will not be responsible for any shipping, loading, inland transportation costs, destination unloading, or destination transport costs. If we ship your load to you, it will be securely fastened to the container and all documentation will be included to your port or your door with no hidden charges. Typical price breakdowns include $40.00 for courier fees, $600.00 for loading charges, $10.00 for packing declaration, and so on. Get your equipment delivered safely to any location with UsedTurfEquipment.com.